Since the standard beta phase of Elite:Dangerous started, I’ve been working the exhausts off my Sidewinder with endless trade runs and exploratory trips to all the systems that have been within reach. With a cargo capacity of just 4 tonnes it took a while to make enough credits to upgrade but I’ve eventually been able to save enough to get hold of a shiny new Hauler (above). First impressions are that it’s like switching from a knackered old Vauxhall Corsa to a nice new Ford Transit. And that’s a good thing. The weird thing is that now I’m running around in a ship I’ve bought and paid for, I’m acutely aware of how potentially dangerous every encounter is as I try to make enough money for the next upgrade. Every time I launch, I find that I’m making sure I’ve left enough cash ‘in the bank’ to cover the cost of insurance and a reasonably viable replacement cargo should the worst happen and the Biowaste hits the ventilation ports. But it’s also surprising how quickly the credits start to pile up when you can haul more than 4 meagre tonnes around the galaxy. In (about) a single afternoon of concentrated trading effort I’ve racked up 118,971 credits and the Hauler is still thus far unblemished by poor piloting or pirate attacks. One pirate had a go but fortunately the big old girl out ran him and we left with just some weakened shields. 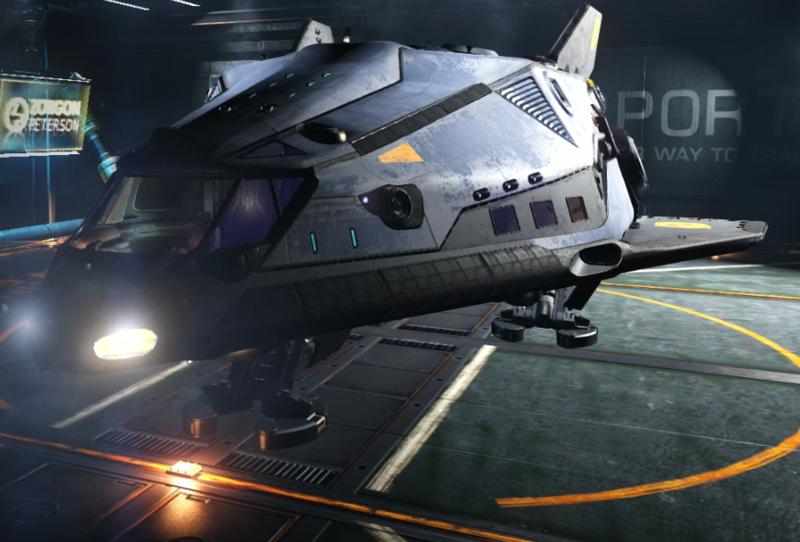 I’ve seen comments from other commanders suggesting that upgrading to the Hauler is a waste of time; too slow, too weak and so on, and advising others to go for something else instead, like an Eagle or Viper. I disagree. Unless you want to be a combat pilot. In which case yes, a Viper or an Eagle would probably suit you better. But if it’s trading credits you’re after, this is a very nice early upgrade choice. It looks like a van, but drives like a car. And it isn’t all beaten up when you get it, unlike that freebie Sidewinder that you never really cared about. I can imagine that during your first flight, you’ll be surprised by the absence of a continuous rattle from somewhere in the dashboard or trim that you’ve just gotten used to during those days / weeks / months in the Sidewinder cockpit. So when you’re ready, and assuming you want a simple trader’s life for a while, go get yourself a Hauler. You’ll be glad you did.